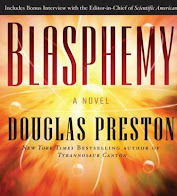 Following the last book I read, which was a pretty dark and scary, I wanted something nice as a bit of a palate cleanser. 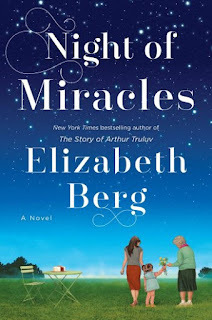 Night of Miracles by Elizabeth Berg seemed to be just the ticket. The sequel to The Story of Arthur Truluv, I knew it would be just the thing I needed. This novel follows Lucille Howard and a whole new cast of neighbors in the small town of Mason, Missouri. We see bits of Maddi and Nola, but they are auxiliary characters in a book focused on Lucille's business, the family who has moved into her old house next door, Iris moving to town, and Tiny and Monica's will-they-won't-they relationship. I absolutely adored Arthur Truluv and this book had so much of that same magic and charm, but I didn't find it quite as satisfying as I did the first book. This one ended too quickly and somehow it felt unfinished to me. Luckily Berg is working on a third book in the series so hopefully that will round it all out and give me that feeling I'm missing. Or maybe I still won't be able to get enough of these sweet characters. I can only hope that while Berg is at her writing table, she might consider adding a collection of Lucille's recipes. The descriptions in the book make my mouth water! 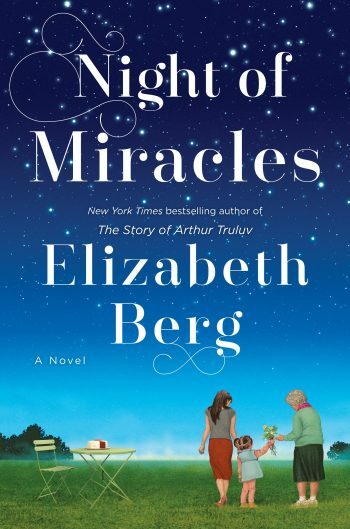 If you haven't read Arthur Truluv yet, I highly recommend that you do and then add Night of Miracles right behind it. You'll love this sweet small town and all the lovely people who live there.